The Vespa SXL 150 shares its powertrain with the Aprilia SR150. The 2017 Vespa SXL 150 with BSIV compliance has started reaching dealerships. The scooter remains visually the same as the BSIII version. The 2017 Vespa VXL 150 is powered by a 150 cc mill capable of producing 11.6 PS of maximum power and 11.5 Nm of peak torque. Powering the 2017 Vespa SXL 150 is a 150 cc single cylinder, air-cooled engine with MAP sensing and Variable Spark Timing Management. Coupled to a CVT, the engine is capable of producing 11.6 PS of maximum power at 7,000 rpm and 11.5 Nm of peak torque at 5,500 rpm. Brakes include a 200 mm disc in the front a 140 mm drum in the rear. The monocoque body architecture is made of steel and is suspended over an aircraft derived single arm up front with anti-dive characteristics. The rear suspension comes with dual effect hydraulic shock absorber. 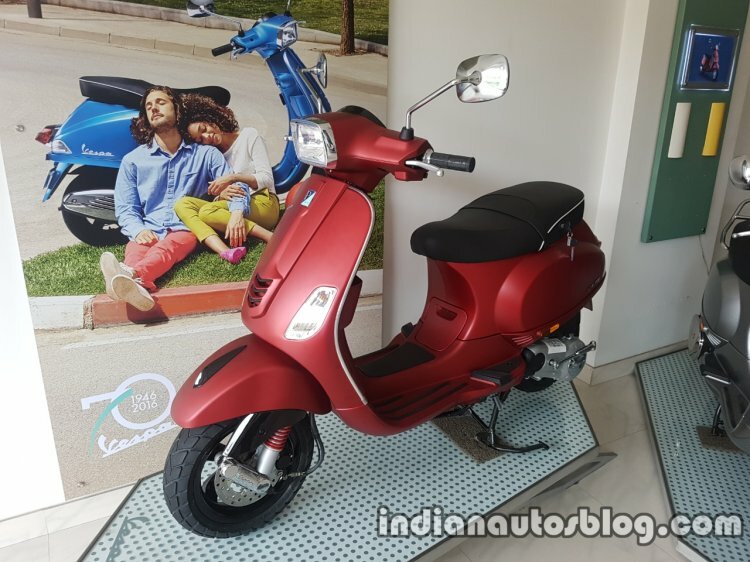 The 2017 Vespa SXL 150 BSIV gets tubeless tyres at both ends with 110/70 11-inch specification in the front and a 120/70 10-inch in the rear. Complementary accessories include a visor, front chrome bumper guard and a perimeter kit. Features include a mix of an analogue & a digital console, contoured seat and alloy wheels. Colour options for the 2017 Vespa SXL 150 BSIV includes Orange, Matt Black, White and Matt Red. The 2017 Vespa SXL 150 BSIV is available in 4 colour options. 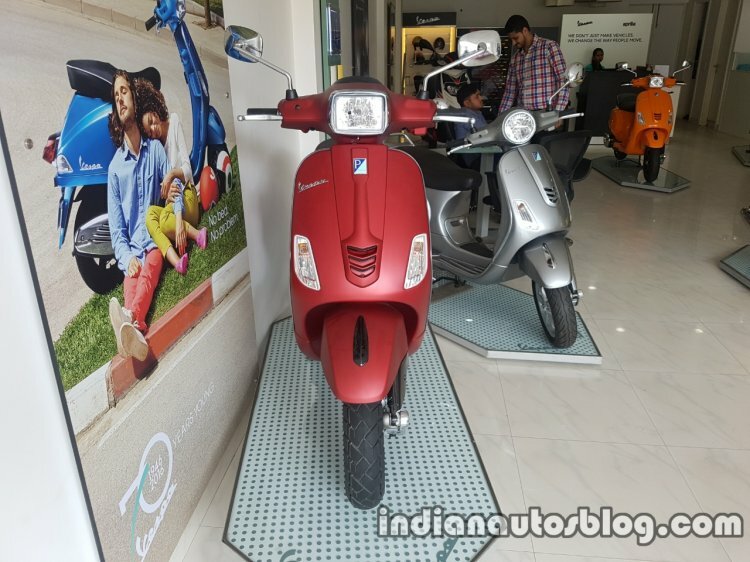 The 2017 Vespa SXL 150 has been priced at INR 92,428 (ex-showroom, Delhi).